On 8 August, Georg Milbradt, Special Envoy of the German Government on governance and decentralisation reforms in Ukraine, together with Bastian Veigel, GIZ Programme Director of U-LEAD with Europe, Benedikt Herrmann, Adviser on Decentralisation of the EU Delegation to Ukraine, and Raphael Raum, Political Adviser of the German Embassy in Kyiv, visited the Baryshivka Rayon to learn more about the current state of the decentralisation reform in the Kyiv Oblast. 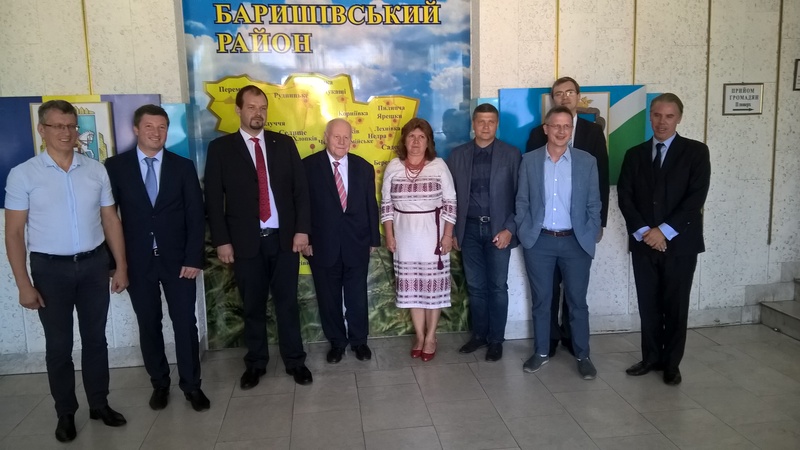 Both Volodymyr Humeniuk, Head of the Baryshivka Rayon Council, and Oleh Levchenko, Head of the Baryshivka Rayon State Administration, told the guests that all local authorities at the rayon and village levels support amalgamation and the establishment of the Baryshivska amalgamated hromada. 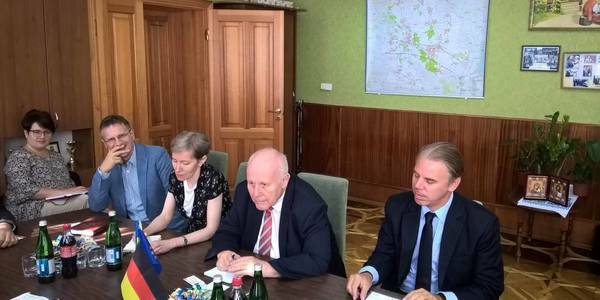 Georg Milbradt said he was pleased to hear that because other regions of Ukraine sometimes face resistance to amalgamation, especially at the rayon level as the future of rayons becomes unclear. The German envoy added that his country had similar problems about 25 years ago, during the transformation of the former GDR, and his experience with that shows that decentralisation changes people’s mindsets. Larysa Makarenko, head of the Voloshynivka village council and chairwoman of the village heads association of the Baryshivka Rayon, confirmed that it was very useful to visit the successful hromadas of the Poltava Oblast and thanked the Kyiv Local Government Development Centre, which facilitated her trip to Poltava with the support of the U-LEAD with Europe Programme. 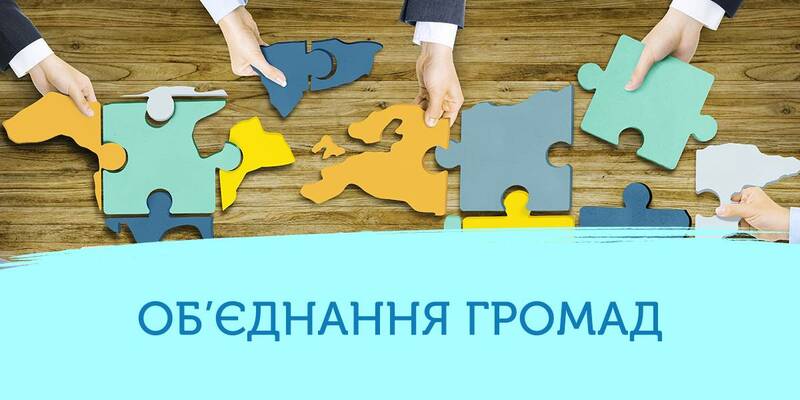 “The Kyiv LGDC came to support our local authorities with legal advice, it helped us to prepare all the needed documents and the package for amalgamation has been submitted, but we have not yet received a positive conclusion of the Kyiv Oblast State Administration,” she said. 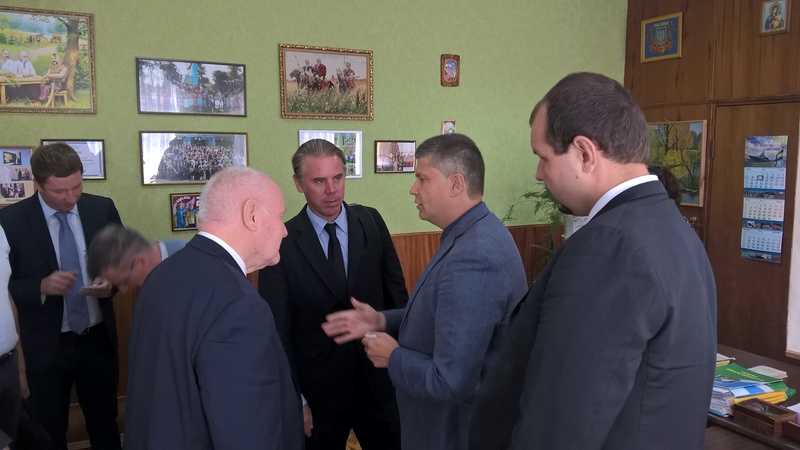 In Baryshivka, Georg Milbradt was asked to discuss the issue of establishing AHs with the head of the Kyiv OSA and Vice Prime Minister Hennadii Zubko whom he will meet later this week in Kyiv. 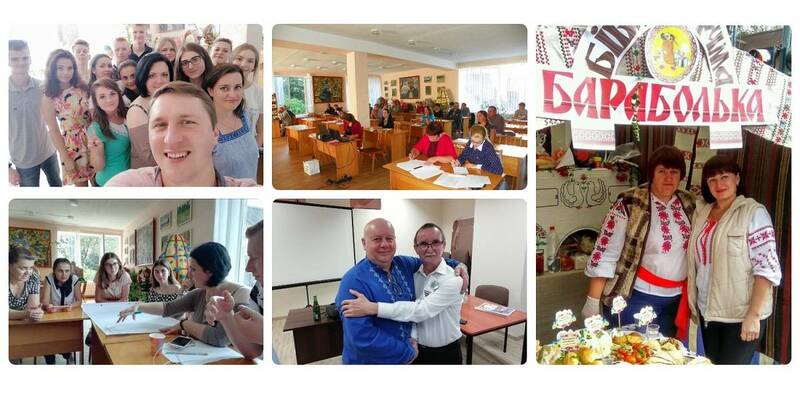 “It was very interesting for me to see the process at the local level and to talk to you,” Mr Milbradt replied. “I feel myself like a postman who delivers impressions, and I promise to convey your messages,” he added. 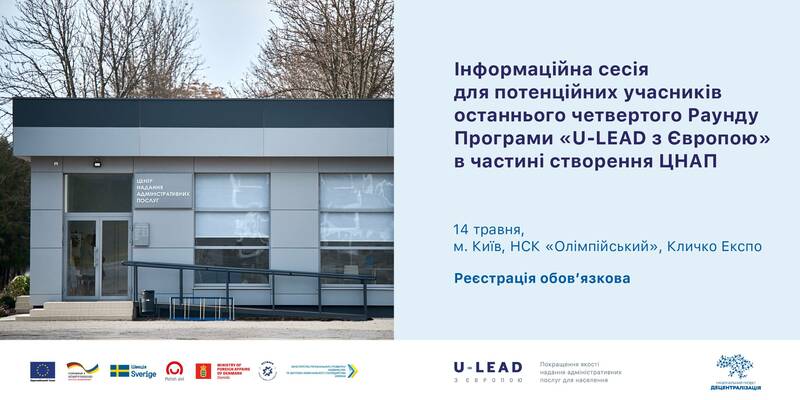 Bastian Veigel, GIZ Programme Director of U-LEAD with Europe, said he was happy to hear about the fruitful cooperation of Baryshivka’s authorities with the Kyiv LGDC supported by U-LEAD. 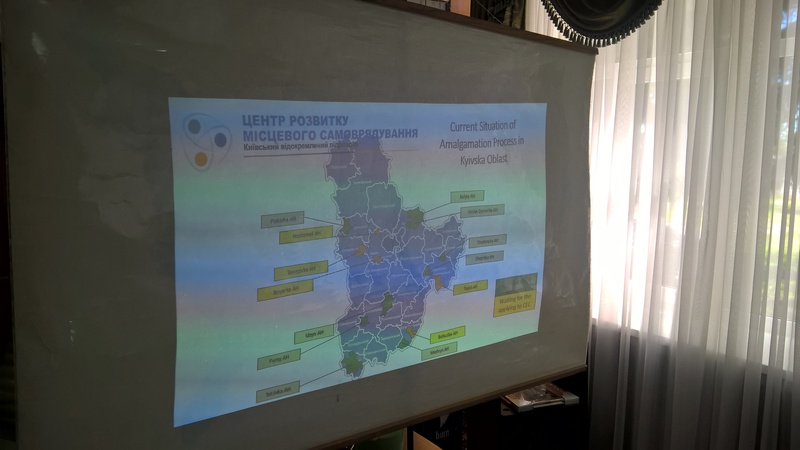 “We as U-LEAD with Europe try to ensure that local people are able to convince other people in the necessity of the decentralisation reform and there is the political will at the national level to go the same way,” Mr Veigel underlined.